This is the Part 2 of the adventure. Don’t miss out the Part 1 and Part 3 if you haven’t read them yet. I was very excited to start travelling alone. The first three months and a half travelling with Elina were spectacular and a lot of fun. Now, I was ready for a more personal and introspective adventure. 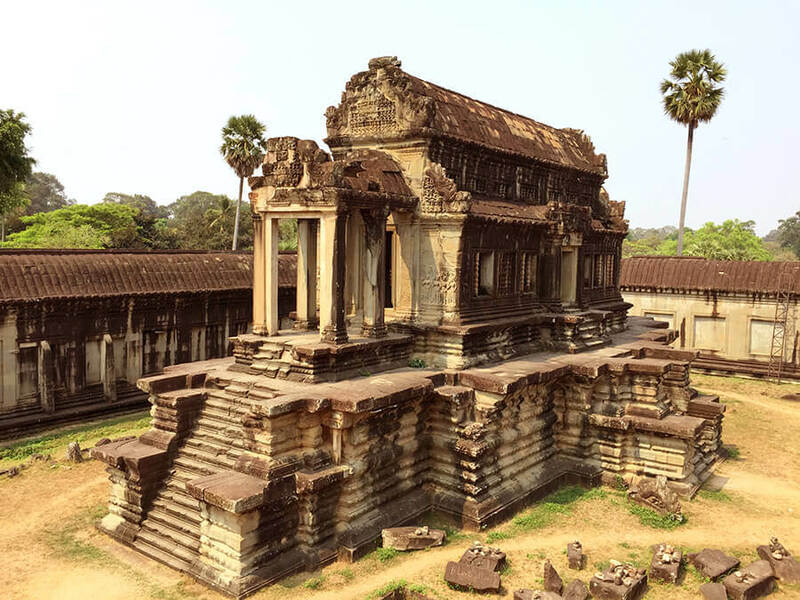 Many people told me about Angkor Wat, one of the most impressive complex ancient buildings in the world. I landed in Siam Reap, ready to fill my days with adventures and new experiences. Words are not enough to express what I found there. I perceived the energy of the ancient times. Maybe it was a combination of my predisposition and everything that I saw there: the light, heat, smells, people, culture, buildings and vegetation. Be that as it may, the three weeks I spent there in solitude were full of inspiration and self-consciousness. I created many illustrations, some of my favourites ever and I also started to build the foundations of this blog. That brought the first lesson of this part of the trip. Inspiration rarely comes on its own, and you shouldn’t rely exclusively on it to create artwork, but when it does you have to make the most of it. That kind of inspiration can lead you to your best ideas and most creative and clear thoughts. It seems to come more often when you do new and exciting things. That inspiration flow lasted for several weeks. I spent those days working for 13 hours a day, trying to take profit of that energy. I also spent time clearing my mind going for walks, visiting ancient temples and wandering around. When the inspiration flow was over, I felt ready to be back on the road. I started to travel south. 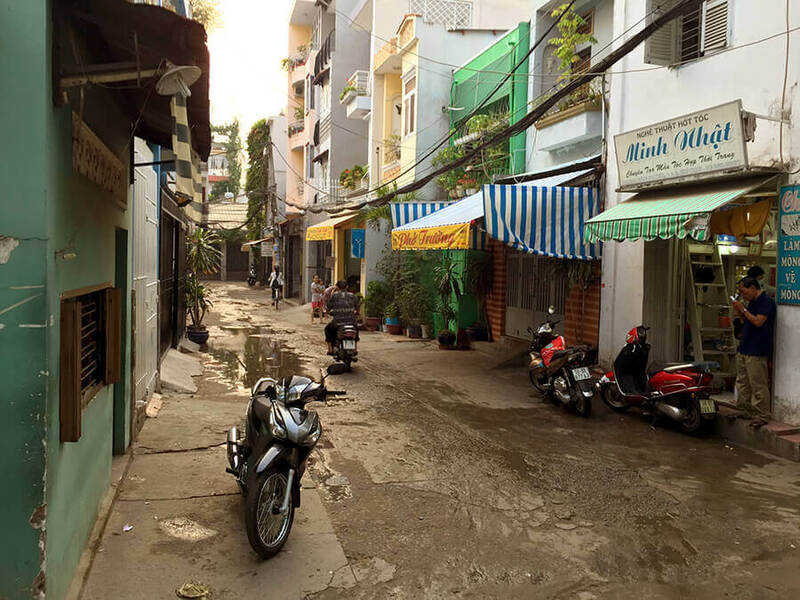 I visited Phnom Penh, the capital of Cambodia, and some southern towns and villages. I travelled by bus. It was my first proper experience with buses in SE Asia. The buses there have beds because it takes a long time to travel. Most of the roads are unpaved and the buses stop several times to allow people to eat, go to the toilet and stretch your legs. It was great to be back on the adventure mood. 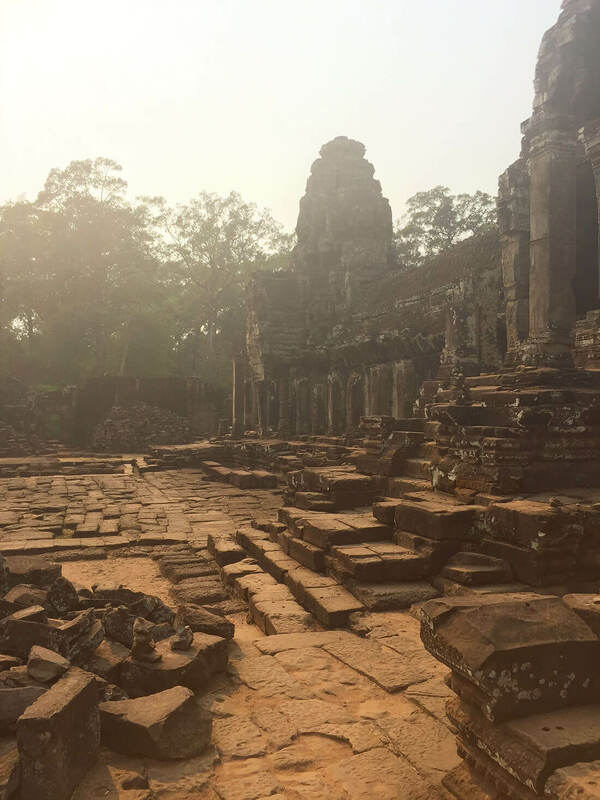 After a very intense month in Cambodia, I felt like it was time to move on, and I continued to Vietnam. 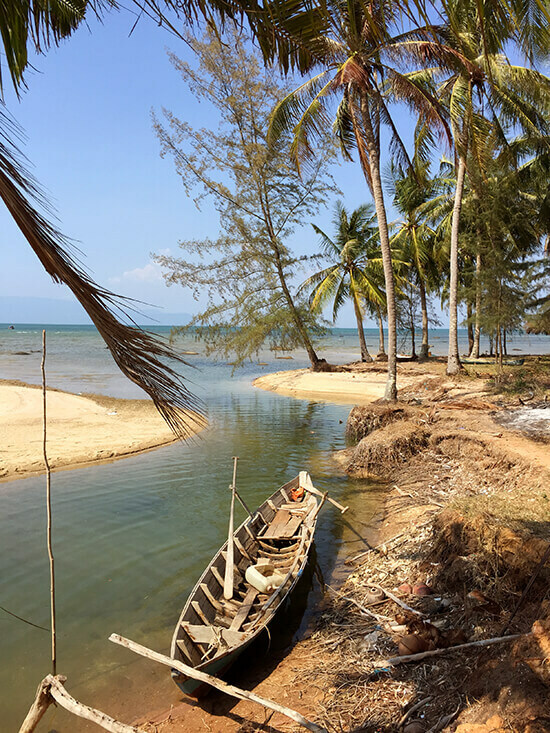 I started the new chapter in Phú Quoc, a beautiful and authentic Vietnamese island off the coast of Cambodia. I spent a week there riding a motorbike going over the forest and jungle, through endless dusty paths. Sometimes I found myself riding for hours absorbed by the beautiful landscapes. I suddenly realised that the week I spent in Phú Quoc riding the motorbike was a metaphor of my whole trip, and maybe my life. I had no destination, but there was always a path to follow. I always had a small plan in mind based on something I had or wanted to do, finding gas, water or discovering places and exploring the map. The point wasn’t to reach a particular final destination; the point was to enjoy every single second of the ride, discover many things as possible and be open to what I find. After that time in Phú Quoc, I was feeling great and I had my travelling batteries full of motivation and energy. I decided to go across the country from south to north. I visited many places. 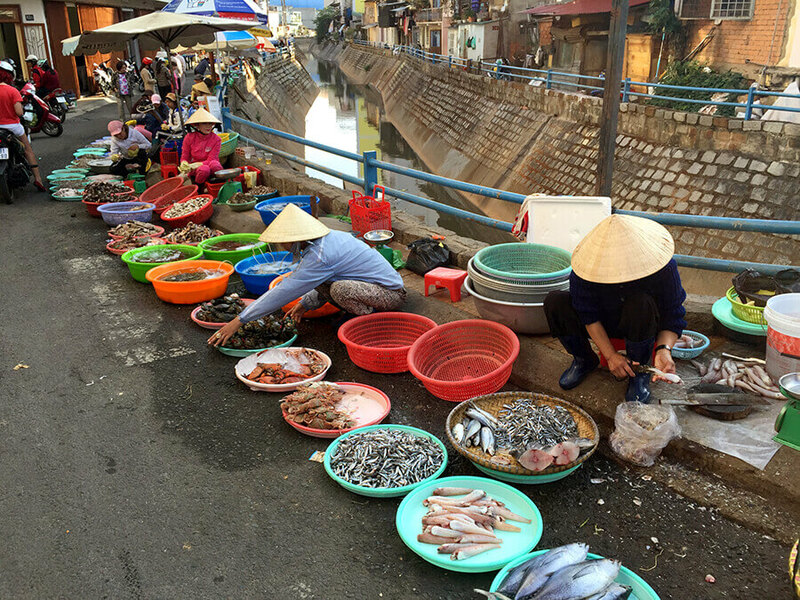 Some of my favourites were Ho Chi Minh, Dalat, Hoi An, and Hue. I met a lot of people on that part of the trip. A lot of other travellers but also some locals that invited me to their homes and showed me the real Vietnamese culture. We shared meals, we talked about our cultures, our lives, our dreams. I also had time to try new and challenging activities like canyoning and descending waterfalls. I was mesmerised by the landscapes, colours and wealth of visuals stimuli. Vietnam is the perfect country to go over and lose yourself into it, so I did it. 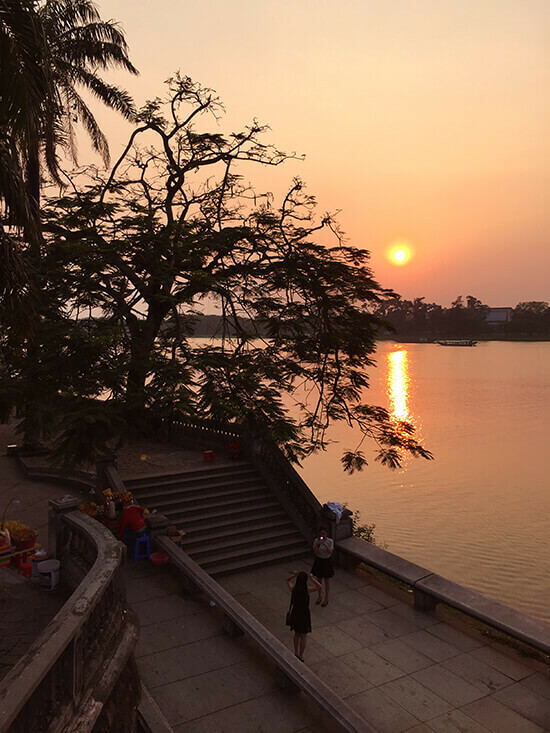 After a month on the road, I finally arrived at the north and I decided to stay in Hanoi for a week. In Hanoi, I experimented something similar than what I had in Cambodia. I felt very thoughtful and inspired. I went over my last 10 years, analysing what I did since I left the school. And, suddenly, the dots were connected, as Steve Jobs pointed on his must-see Stanford Speech. I realised that curiosity and non-conformism have always been my driving forces. That’s why I’ve done many different things in my life. Some of them being very dissimilar as graffiti, programming websites or conceptual illustration. I moved from one to another after becoming proficient in them. After mastering something, the magic is gone, and I feel like I have to start something new. I also realised that the things I’m interested in usually deal with problem-solving. And what I’m thrilled is finding elegant solutions (those that are both smart and simple). That’s how unexcpectly, I found the core values that rule my life. And, since then, that discovery has had a massive impact on my actions and decisions. Immersed in my thoughts, I moved to the next country. I remember Laos as a wild country. It was very different from the previous ones. Travelling in Laos was tough. 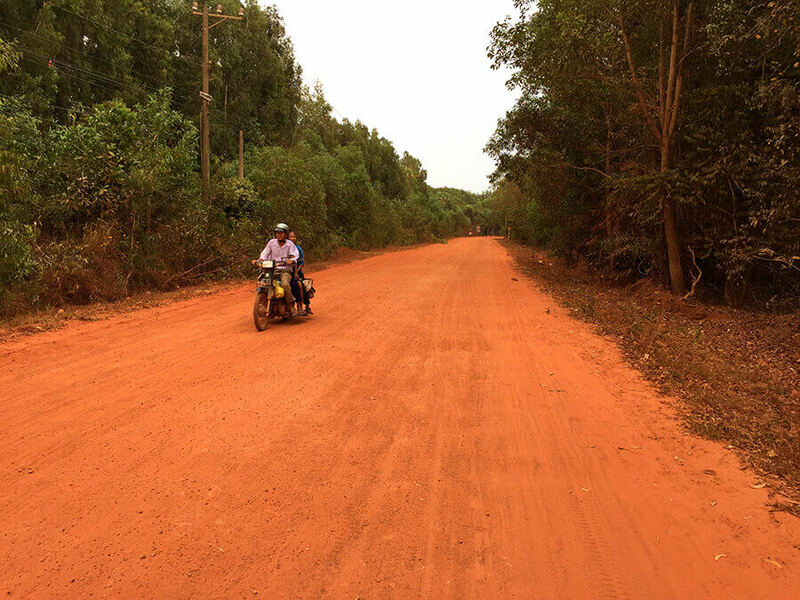 It took me hours to cover relatively short distances, and the roads were rough and unpaved. I spent endless days on buses and boats. Travelling there was uneasy but at the same time authentic. Communicating was very tough since most people didn’t speak English and I didn’t find many travellers in most of the towns and villages I visited. I relied on my intuition. Also on my imagination. I found myself many times drawing something in my notebook trying to communicate with locals. I also used a combination of English, Spanish and Catalan plus my limited knowledge of French. And finally, I also used digital resources as Google Translate or any tool that could help me. Laos brought me a new lesson. Uneasy situations are opportunities to challenge your limits. They require you to be creative, positive and diligent. The experience you acquire after those situations is priceless. You gain a lot of useful general knowledge, and your intuition gets stronger and sharper. Altogether makes you more capable to face them. 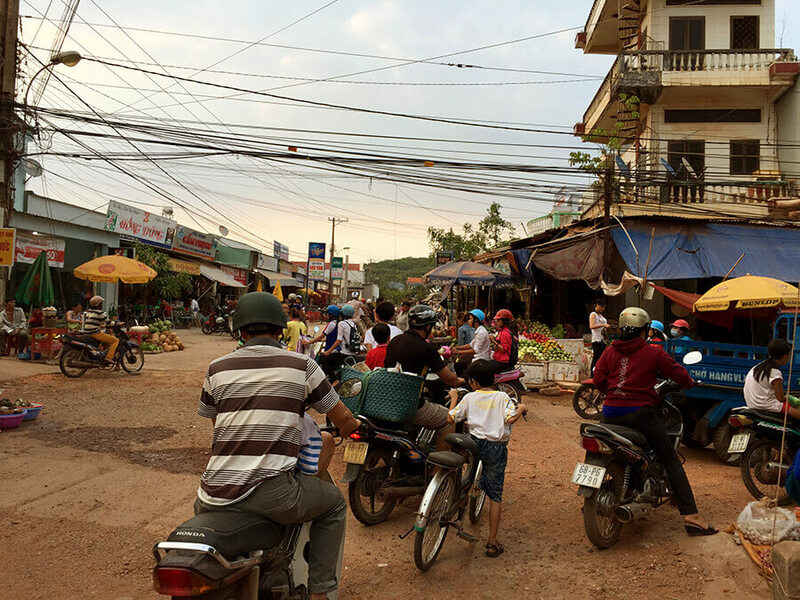 My time in Laos was defined by moving continuously and sometimes not even knowing where I was. I wandered a lot and enjoyed it very much. 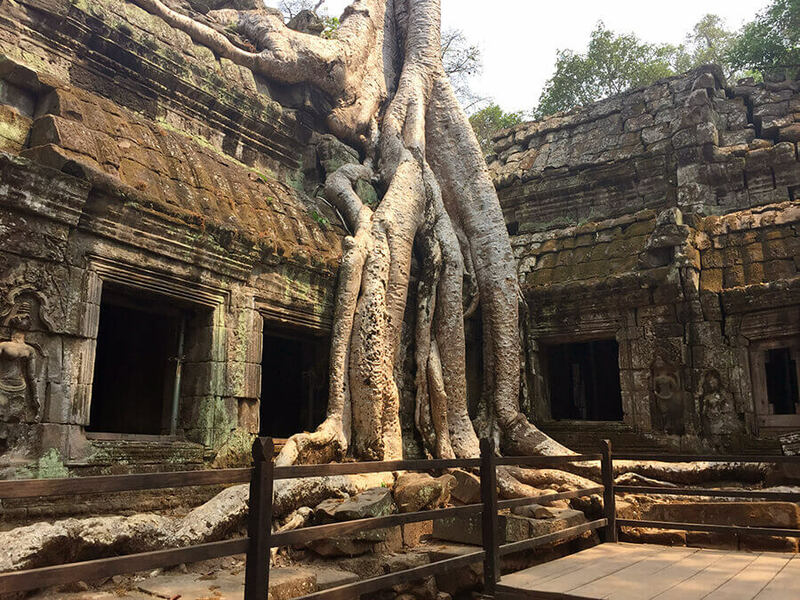 I spent a lot of time alone, and it allowed me to spend time thinking, visiting temples and astonishing landscapes. I always enjoyed spending time alone, and I especially enjoyed it in Laos. Instead of feeling alone or helpless, I felt competent and free. I felt capable of anything, no matter how uneasy the situation was. And, somehow, I was attracted to it. Being alone also made possible to be in the introspective and inspired mood. It confirmed a lesson I had already learnt before. Solitude is necessary and unavoidable. It’s better to start enjoying it as soon as possible. You are the only one responsible for your life. You are the only one that can rule it. Family, friends and people may come and go. You can’t delegate your happiness, plans or dreams to them. It’s an illusion. And also, being alone is necessary to create and think. It allows you to focus and get things done. There is no other way to do it. 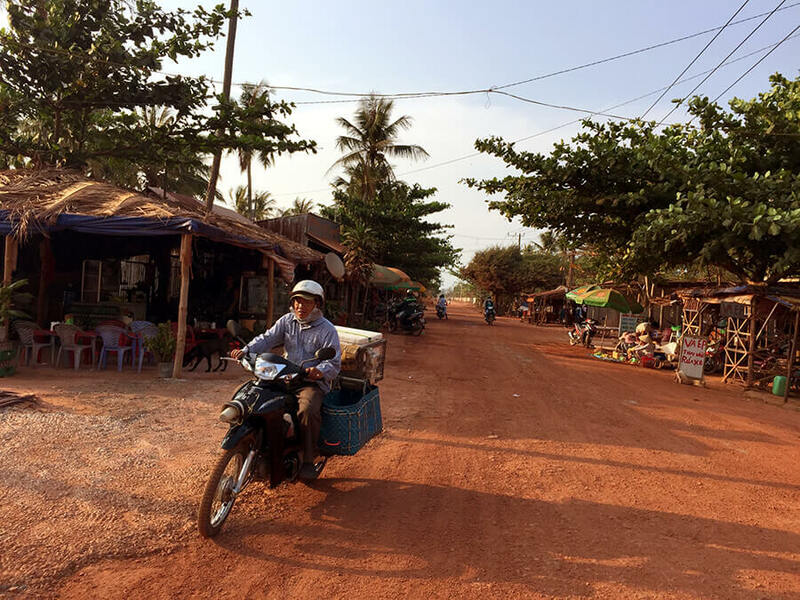 After several weeks wandering in Laos the second part of the adventure was ending. My friend Miguel was coming to join the adventure, and we were meeting in Chiang Mai. I had already spent five months travelling in Asia, and I was very excited to welcome my friend and share the last part of the adventure with him. The story continues with the third (and last) part of the adventure. As always, I would love to hear your experiences. Please let me know them in the comments! Welcome back Magoz and thanks for this article. I love reading about your travels. I see a lot of value. Thanks, James! I’m glad you like these articles, I’ll keep them coming. oh boy, part 2 is finally here! And it brings me back so many good memories. I never traveled alone but fortunately I had some inspirational moments where the brain burst with great thoughts and ideas, and we (husband and I) experienced many moments of silence and solitude too (in Laos also, and during our trekking in Nepal). People fear being alone and I agree that’s one of the great lessons of traveling, love your words about it. Looking forward for part 3! Good luck in your new city. Hi Catarina, trekking in Nepal sounds amazing! I bet you got many great moments, thoughts and even spiritual moments. That part of the world is so special. I think we should have this kind of adventures more often. Thanks for your comment, see you in part 3! Hola Magoz. Parece que esta segunda parte del viaje fue muy intensa. A mí me encanta viajar y casi por higiene mental suelo realizar más de un viaje sola al año. Es de muy recomendable para poder verse por dentro y por fuera sin necesidad de espejo. Ah, me encanta la cita de esta entrada. Te deseo un buen septiembre en esta nueva etapa. Hasta pronto! Qué bien, Carmen. Viajar en solitario es un gustazo. Espero que hayas tenido un estupendo verano. Mucha suerte en la vuelta al trabajo. Magoz, conoces el poema de Kavafis, “Itaca”? Me ha venido a la cabeza cuando he leído tu “aprendizaje” de Vietnam. El destino es el camino… cómo podía ser de otra manera? No lo conocía, ¡gracias por la recomendación! Me he sentido muy identificado. Me encanta tu comentario El destino es el camino, ¿cómo podría ser de otra manera?. Creo que es una conclusión a la que todos llegamos tras ir en busca de algo que no sabemos bien lo que es. O incluso sabiendo lo que buscamos, en cierto punto nos damos cuenta que la propia búsqueda ha superado el valor de lo que estabamos buscando. ¡Gracias por aportar valor al artículo, Verónica!